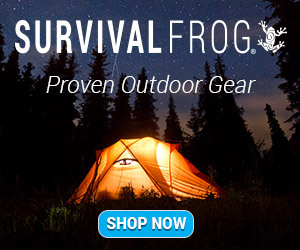 Don't Be Caught Without Essential Survival Gear! 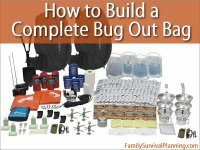 Any family that loves camping will have a pretty good supply of survival gear. Some items that may not be needed in a "civilized" campground, may definitely be needed in a disaster situation. 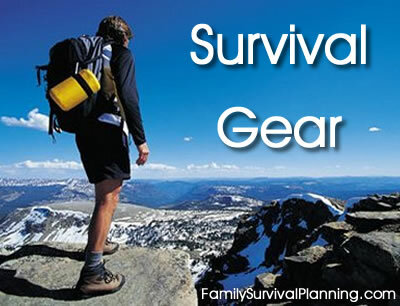 Either way, preparing for anything means acquiring survival equipment — as soon as you can afford it. The two-way radio, once seen as a toy by many and often comically referred to as the walkie talkie, is now deemed by many to be an absolute necessity to add to their emergency communications and preparedness kit lists. You've spent the money to buy survival gear you might need when the "stuff hits the fan". Are they still in boxes fresh from the store? 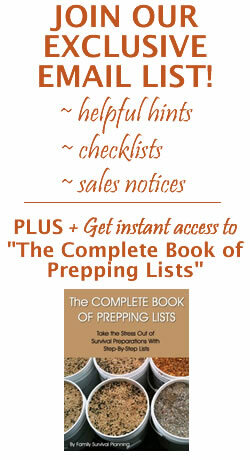 Now is a great time to unpack them, test that survival gear, and learn how to use it. Can we live without electricity? Maybe. Do we want to? No. 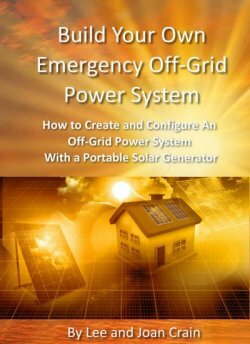 Answering these questions led us on the path to acquiring a portable solar generator. When planning the contents of your 72-hour kit, remember that this is only for 3 days max. Keeping that in mind should help you to not over pack. What to put in them - for adults and children. How to build your own, where to keep them and how often to update. Does your emergency first aid kit consist of whatever is in the bathroom cupboard? It shouldn't be left to chance. What's In Your Auto Emergency Kit? Have you ever spent a night in your city when ALL the lights were out? It's kind of eerie, isn't it? One night in the dark can be kind of fun - an adventure, but several nights, or longer, can be very difficult unless you are prepared with flashlights, candles, light sticks, lanterns, lamps . . . any kind that doesn't need electricity. 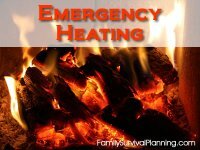 It's only logical to consider emergency heating in your survival plan as many disasters involve weather that may knock out your electricity and that means, your furnace. 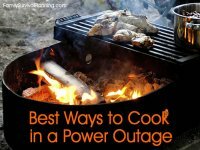 How have you prepared for survival cooking so that your family will have a hot meal if there is no electricity? You're sitting in a restaurant in a foreign country. That glass of water in front of you — is it safe to drink? 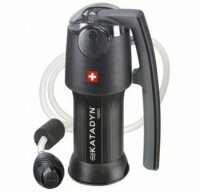 You take out your SteriPEN and, ZAP, clean, safe water to quench your thirst. 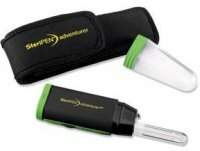 SteriPEN Purifiers are the smallest, lightest, and easiest to use purifiers on the market. 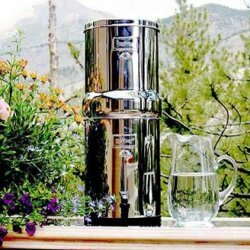 guarantees clean drinkable water any time, any place. On the Sunday morning I wrote this, it was 11 degrees at 8:00 a.m. At noon it was 25 degrees — likely to be the high for today. That's winter in Utah. This season always reminds me of how dependent we are on most of the technology we take for granted and how vulnerable we are without it. 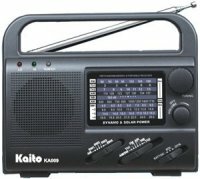 During any kind of disaster where electricity is interrupted, an emergency radio would be a good investment for keeping in contact with the outside world. Solar/battery operated radios will work when your cell phone won't - not that they do the same thing, but most emergency radios also have cell phone chargers built in. Now you can cook without any fuel at all - just the sun. 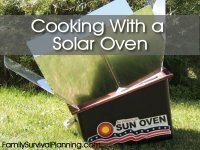 Learning how to cook with a solar oven is both necessary and so easy you'll wonder why you don't do it all the time. Think of the money saved from not using your regular oven. 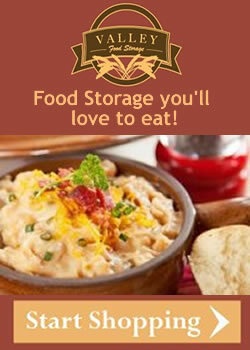 Use in an emergency, take it camping, or cook dinner in it just for fun! . 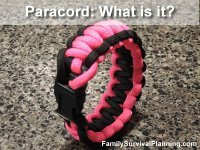 . .
Paracord: What is it and why do I need it? Paracord should be a staple in your survival supplies. Just having a roll of it is prudent — just tuck it into your bug-out-bag. But having it handy, woven into a bracelet, key chain, belt, or lanyard can be a lifesaver. Wear it on your wrist in bright colors and there will be no digging though a B.O.B. when an emergency arises. Flashlights are a pretty mundane subject to most people, at least they used to be. 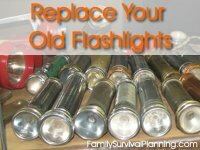 With the invention of the white LED, flashlights have become revolutionary devices, especially for Preppers. We currently own several well-made, expensive, machined aluminum flashlights, but all things considered, they really don't compare well to modern LED flashlights. We still own those big, machined aluminum flashlights, but we have "replaced" every one of them with smaller, brighter, more energy efficient, LED flashlights. 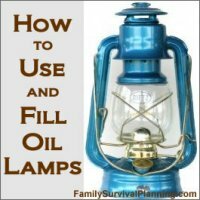 You may not think there's much to learn about filling and using an oil lamp, but there are some little tips and tricks to make the job easy. It's not like flipping a light switch. It isn't difficult but, done correctly, it will become second nature to you. 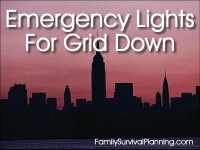 When the power goes out due to a storm, disaster, or power company issue, it's comforting to have several methods of providing light when evening comes. Wow! What can I say. 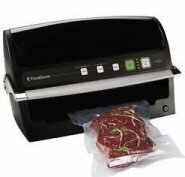 I LOVE my FoodSaver Vacuum Sealer. I purchased it this summer as well as the Excalibur Dehydrator and have used them together to add another method of preserving food for storage. A common, everyday thermos bottle or jug is actually a unique piece of emergency preparedness equipment that can turn otherwise difficult-to-prepare storage foods into breakfast, lunch or dinner in an emergency situation. 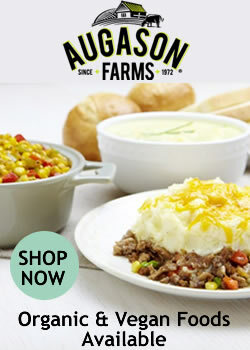 For most people, meat is likely to be the most expensive food in your house, especially beef. No one can afford for it to be ruined by an unplanned thawing. While doing some emergency preparedness planning, I began to think about the food in our freezers. Being comfortable using a knife will increase your chances of survival. Whether you are camping, building fires, or hunting and preparing game, knowing how to use a knife is essential. However, knife safety is a tough aspect to grasp, especially if you’re a complete newcomer to the entire equation. We’ve lost touch with our old heritage, the way things used to be done! 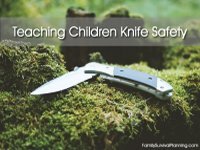 Knowing how to use and be safe around knives is a vital life skill. It really should be taught in school. By passing these skills on to our children, we can give them a vital skill which will last a lifetime. 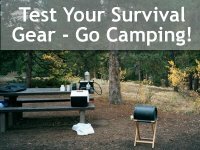 Test Your Survival Gear - Go Camping! 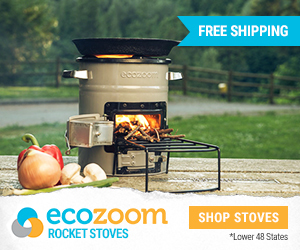 Take your stove, Dutch oven, or solar oven (or all of them) and plan menus for each cooking method. 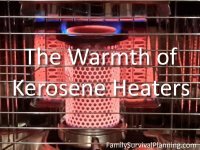 You may want to choose some canned foods that can be quickly heated on a propane stove. Or try some freeze dried foods in your solar oven.